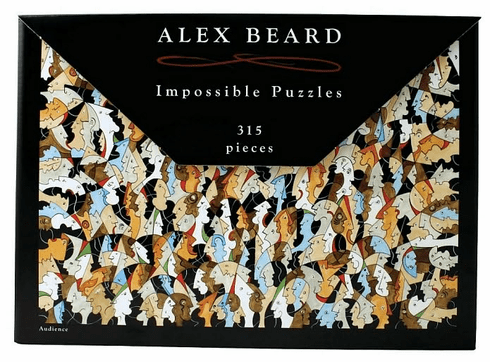 Impossible Puzzles feature the artwork of Alex Beard - the painter, writer and traveler who has emerged as one of his generation's most creative and successful artists. The uniquely shaped pieces allow you to create free form puzzle designs of your own. It is time for puzzles to go outside the box. Are you up for the challenge? 315 piece puzzle. Ages 10+. 25" x 17 1/2"